Yvonne is obviously the most experienced athlete in the female Pro field, and she has shown some great performances in Roth. In the last two years her Roth races didn’t quite go as planned but she still finished in third. A podium finish is likely the “base goal” for the crowd favorite, but she’s not the type of athlete to not go for the win. While she’s probably the strongest woman on the bike, she’s always been a bit slower in the swim. That’s unlikely to have changed, but she’s strong enough to make up lost time in the early parts of the bike. The exception is of course going to be Lucy Charles, it’ll be interesting to see how much Yvonne is going to reduce the gap of likely nine minutes after the swim on the bike. The last two years Yvonne suffered on the run in Roth (3:11 in ’16, 3:20 in ’17). If she wants to catch Lucy, she’ll probably have to run close to 3 hours – the last time she has done that was in Barcelona 2015 when she ran with Kaisa for most of the marathon. The only time Yvonne has been off the podium in Roth, she finished in 8:59, and she has been consistently finishing around 8:50. Anyone who wants to beat her on her favorite course has to be prepared to go faster than that. Thorsten: You’ve had a lot of success at Challenge Roth, but the last two years you didn’t have the races you were looking for. How do you feel going into this year’s race? Yvonne: Yes, Challenge Roth has always been my favorite and will continue to be so. Last year I had a serious crash at Challenge Heilbronn just before Roth and with lingering injuries I didn’t feel good before the race. Two years ago I’ve had some stomach issues. It’s about time for the next good result here in Roth! Being on the start line is very special for me: Challenge Roth was my first long-distance race and it’s going to be the last one for Yvonne Van Vlerken. 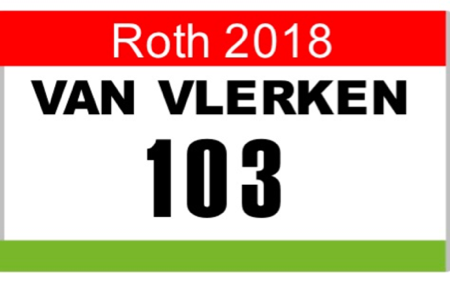 I’m going to get married in July, two weeks after Roth, so I won’t be racing as Van Vlerken anymore! T: Last season you and Per spent the Northern Hemisphere winter in Thailand, Australia and New Zealand. How did this year’s winter and spring look like? Y: This year we didn’t travel far, we were for a few weeks on Lanzarote (my favorite island! ), two not very nice weeks on Mallorca and the rest of the time at home. It wasn’t quite as luxurious, in addition I was sick for a few weeks starting with Mallorca. Unfortunately a trip to Boulder didn’t fit our schedule, but Siri [Yvonne is coached by Siri Lindley] and I are in regular contact via the Internet or telephone. But even if my prep wasn’t quite a smooth as in other years, the first races felt really good. I’ve entered IM Lanzarote just before the list closed, but I’ve had some problems with the salt water during the swim. Usually the women Pro start is pretty relaxed with just 10 to 20 athletes, but Lanzarote is a mass start and I’ve swallowed much more water than in other races. I really like the island and the bike course, but I’m not going to race there again. T: What are our goals for this year’s Roth? Y: To be honest I have always been chasing records and sub-9 finishes, but recently fast times seem to be more important than exact distances, I just have to mention Challenge Rome and Ironman Texas. So the value of fast times is diminished and this isn’t good for our sport. My goal this year is to have a good race for myself, and to have as close to perfect day as possible – then the result will take care of itself. I know I still have a lot in me, and even if I’ve already been doing our wonderful sport for quite some time, I’m still improving. I recover quicker, can race more often and am still getting faster on the swim and run. The “young girls” shouldn’t underestimate me, I now have the full package of performance, experience, know-how, passion and love for our sport. And I still feel pretty young myself! The field in Roth is always one of the strongest and it won’t be easy to get onto the podium – but that’s where I would like to finish. T: How do you see the female race this year? Lucy is likely going off the front with her strong swim, but you could be in a group of fast cyclists chasing her. Y: Lucy can swim, bike and run well, but she will have to run a really fast marathon which she hasn’t done yet. She’ll be among a lot of Pro men and that’s a huge advantage for her. That means that it would be great if Kaisa, Laura, Daniela and I can work together to close the gap to Lucy. But first we’ll have to catch my countrywoman Sarissa de Vries who swims very well and can bike as fast as I – she might be second or third at the start of the run. Maybe she can even be the “Dutch Dark Horse” as I was in 2007. But currently my run is my strongest leg, so I wouldn’t mind when the race is decided on the run. When I was able to run away from Kaisa in Barcelona 2015, that was a combination of experience and good tactics, but since then she has made huge improvements. Now we also have the same coach, and while it would be nice I probably won’t be able to run from her now. Laura and I love to run together, but she’s also getting better and better, just as Daniela who is another athlete I really like very much! In order to have a chance I think we will have to legally work together. I’d love to be able to catch Lucy, but it’s hard to predict if it’s going to be possible for any one of us, a lot will depend on how each of us feels on race day – but it’s 100% going to be an exciting race! T: What’s your view on the new run course? Y: I have a lot of respect for the team of Challenge Roth for listening to their participants – and I say thank you for creating the perfect combination of the old and new run courses. I love to run along the canal, 90% of my run training is on crushed gravel which I think helps to avoid injuries. Running the “mountain” towards Büchenbach only once will be enough this year – even if running around the small lake was awesome, having to get there twice last year was once too often! I’m really looking forward to the marathon this year! T: What’s your plan for the rest of the season after Roth? Y: After Roth I’ll be taking a break – two weeks after Roth we’ll have our marriage and I have butterflies looking forward to spend the rest of my life with Per. IM Maastricht will be five weeks after Roth, another big highlight to have an Ironman in my home country. The week after will be the great Challenge Turku, I much enjoyed it in 2016 and 17. Next up is a smaller race on my daily training routes, the Transvorarlberg, before Challenge Almere where I hope to win for the third time and enjoy another well organized “home race”. The last long-distance race for this year will be Ironman Barcelona, I just like this race. October and November Per and I will be on “honeymoon” at Thanypura in Thailand, we’re just looking for a few races in Asia. And maybe I’ll close 2018 at Challenge Daytona. 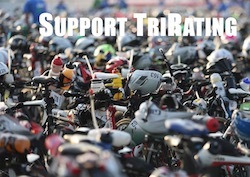 Even if have enough points for a Kona slot, I won’t be racing there. That chapter is closed, and for the last years of my career I’ll be doing races I enjoy racing, that matter to sponsors and that won’t require as much travel.